Yes Diane, this is how I feel about LuckyFabb. It was an amazing experience. This was my first and it most certainly won’t be my last. 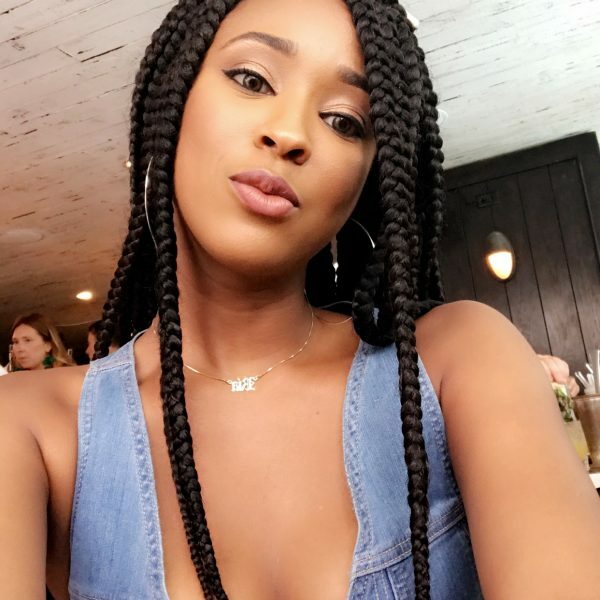 The guest speakers were phenomenal, connecting with my fellow bloggers was awesome, seeing the different approaches the brands took with their suites to connect with us bloggers was so interesting and fun to participate in. From FabLibs with Sorel to Marshall’s “price is right” game it was a truly unique experience for me. I can’t wait to go back for seconds. Look at Diane telling us what’s what. Definitely took a lot away from her panel. She is definitely a wonderful role model for women of all ages. So happy to have heard her insightful advice and heard her story. The Kardashians (mother & camera crew in tow) also spoke on a panel. I’ve never seen an episode of their show, their panel wasn’t as bad as I thought it would be. Coco Rocha & Rachel Roy are both amazingly beautiful women who are incredibly well spoken, not to mention successful. It was such a treat to see Ellie Goulding perform since I’ve been listening to her for a few months now after a recommendation by a friend. I took a quick video of one song. “Wish I Stayed” one of my favorites. It’s noisy in the background though because apparently people are rude. U look beautiful in that free people maxi! Looks so fun girl! thanks for sharing! great post. i want to attend this next year! I am so jealous- I was over at IFB, and kept seeing all the tweets about how fabulous everything was at Lucky!! Haha, next year;) Your dress is incredible my dear, you looked so lovely for the day. 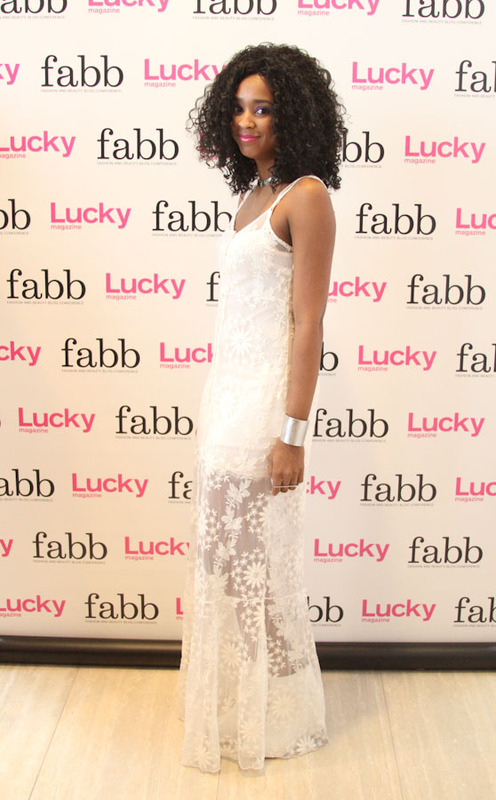 Yeah I definitely definitely would recommend LuckyFabb to anyone and everyone. I’ll be going back in Feb I think. You should come! ahh such amazing people to learn from.. Diane must have been the best inspiration! love the dress… sooo gorgeous! Haha! People ARE rude. My video clip is also horrible bc of the background chatter. I love this post and I am soooo glad you had fun at Lucky! :D Since I basically told you you HAD to come. Yeah the one I took on my phone to send to my bf is basically unwatchable. He’s like all I can hear is noise. So this was as good as I could give him lol. I’m so glad that I met you, if not for you I wouldn’t have taken the leap at all to come to nyc this season. I always say I will & then never do. Things worked out this time where I just really couldn’t say no and I couldn’t be happier I went! This one was too long on my short friend. Ooh I didn’t know C&C made one too. I wonder if it’s cheaper than the Free People one. I bought mine on sale and even I have to wear it with heels. I love that maxi you wore! 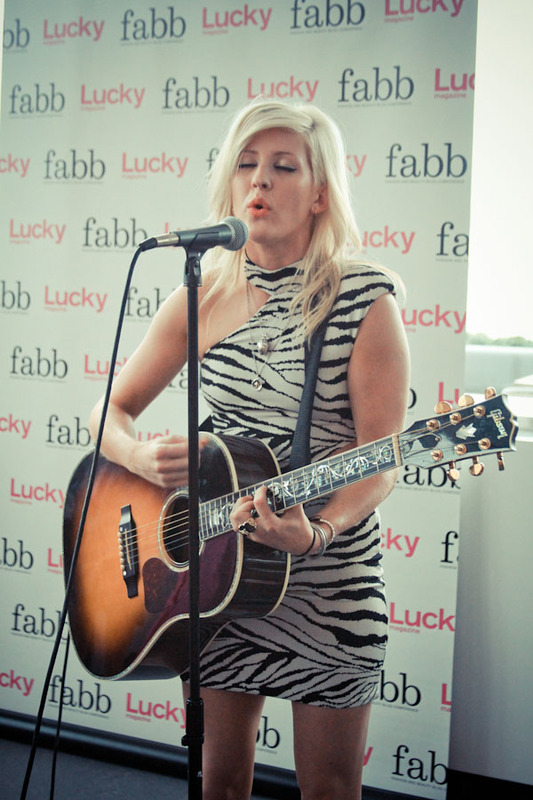 I watched all of the Lucky Fabb videos online, looked like such a great time, and Diane is just amazing! I love to listen to her talk! Take me with you next year! 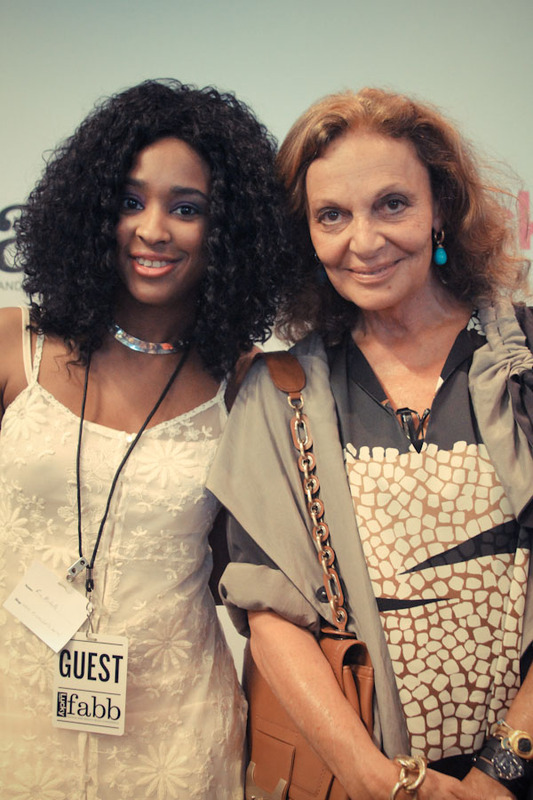 I’m so sad I didn’t go this year- DVF is my idol. Love the Kardashians and I met Rachel Roy this year (so nice).. and I’m obsessed with Ellie Goulding right now (Starry Eyed and the Bassnectar remix of Lights has been on repeat for a while). So many cool people ahh! You look fabulous in your sheer! I usually don’t like Free People clothes, but I laaaaav that white dress you’re wearing! really sweet and elegant at the same time. I am jelly that you got to see Ellie Goulding. her voice is amazing and it’s cool to see/kind of hear that her voice is just as cool in real life. the neck of her guitar looks so nice too. Thanks for sharing I wish I was able to attend, beautiful dress and great blog (started following on fb)! Too bad you can’t make it to comic con (we talked on Instagram), it will be my first time, I am so excited!